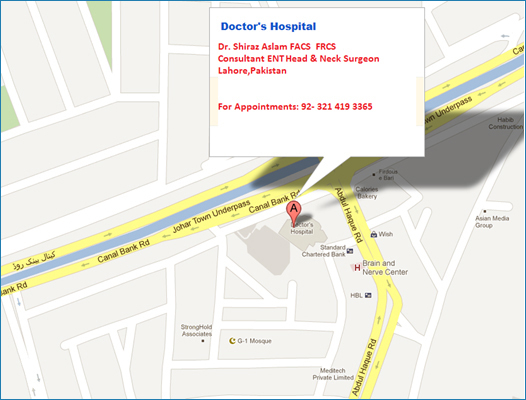 The Doctors Hospital, Canal Bank Road, Lahore. The chief patient coordinator at 0321 419 3365. Do you have any Questions? We will be happy to answer all of them! We try to make it easy for our patients to find us when they need us the most! Please don’t forget to print and fill in the patient registration form (below)and bring it along with you to the hospital or the clinic. Thank you.